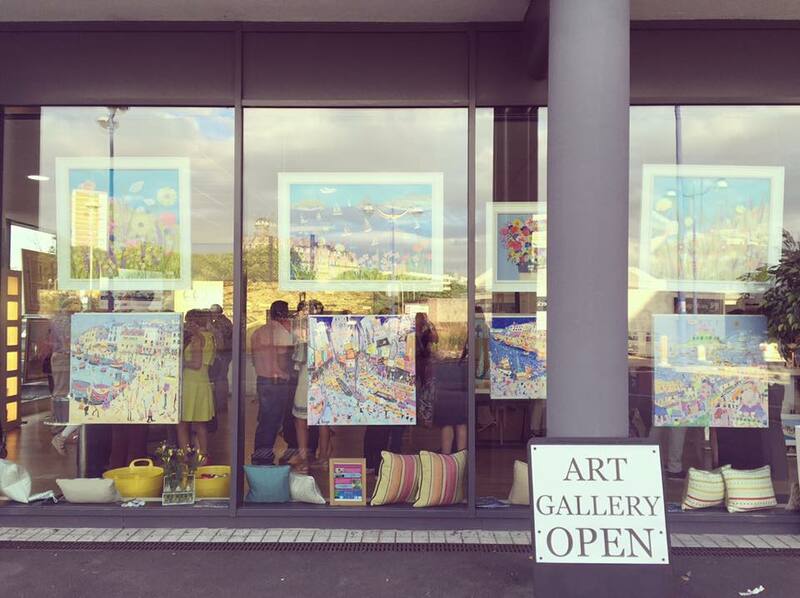 Art Source are exhibiting a quirky, fun and colourful art exhibition featuring the local Devon textile artist Jackie Gale and Cornish based painter Doug Hinge. Jackie uses layers of fabric and embellishes her scenes using free motion embroidery. Her land and seascapes are inspired by the beaches and towns of the glorious southwest and in particular Devon where she lives. Doug's paintings are full of humorous characters, boats and buildings in bright colours and seagulls with attitude. They all have a sense of fun and playfulness guaranteed to bring a smile to your face! Well worth a visit with the children as there are competitions and it's free! Situated just down the road from The Dock at Cargo 2, Millbay.